This mask features a twist that takes zombies to new heights. The Transparent Female Biohazard Zombie Mask is the perfect combination of undead detailing that has been exposed to toxic waste, resulting in something unique. This mask features a semi-transparent shell that leaves much of the wearers face only partially covered, allowing many personal details to show through while adding zombified details over the wearers face. This mask features oozing green detail across its surface, suitable for its toxic biohazard design. Please note that this mask includes only the face mask, and that any other items pictured here, like the wig, are not included. 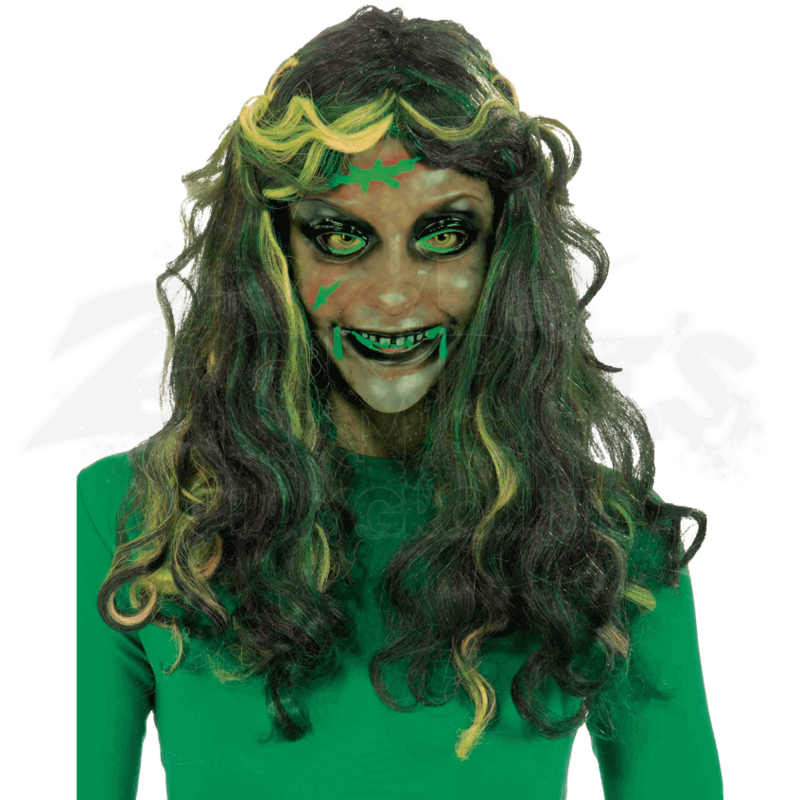 With a great base already in place, this Transparent Female Biohazard Zombie Mask is the ideal way to transform an already intimidating zombie into a new and terrifying creation.